I think that a lot of people may wonder what the lyrics of Psy’s Gangnam Style means. Some people seem to guess that the lyrics is about a ‘love story’, but actually it’s not..
And the other people seem to guess that it’s a ‘confession of love’, but sadly, it’s not, too.. Even other people often take to interpret the lyrics too seriously citing the history of Gangnam or Korean grammar, etc. Do you think that you also need to think so hard as such? Lyrics is just lyrics. It’s not Sociology, Historian, and Linguistics, etc. Think simply. ‘Song’ is created not to be thought hard or study something but joyful or cheerful. Gangnam Style is not about love story! Gangnam Style is not about love story. Why? If you read a translation of the lyrics of Gangnam Style, sometimes the speaker of the lyrics says ‘it’s you’, or ‘you are so beautiful’, and so on..
Who is ‘you’? Is she girl friend of the speaker of the lyrics? I’ll say no! She does not exist. She is just the woman of his ideal type. This is the reason why the song ‘Gangnam Style’ is not about love story. Korean people like a multi-talented person! The speaker of the lyrics seems to be ‘twofold’. All things considered, he wants to meet a girl both who is modest during the daytime and who is good at enjoying a party time or something else during the nighttime. Does he have a dual personality? Do you think that a person who behaves modestly can enjoy well when he or she goes to party and drink or something? It’s about an attitude of Korean people. Korean people like a multi-talented person. If there is a person who has versatile talents, such as.. he or she gets good marks at school, great ability in his or her work, being good at playing musical instruments, to have a good sense of style, and more, enjoying really well in a party time or having a good skill in dance or singing a song.. He or she will be loved by so so so many people in Korea. This is the meaning of the lyrics. He also wanna be a that kind of person. Adding one more thing, if you also wonder ‘I am a man who drink coffee bottoms up before it cools down’, think simply. It’s a saying something to make the person smile. 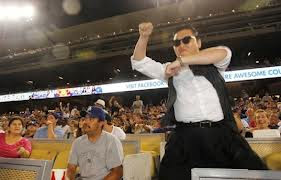 Why does he wanna be a Gangnam Style? Gangnam has symbolic meanings in Korea. Gangnam is one of district in Seoul, Korea, say, Gangnam-gu or Seocho-gu. There are so many good businesses or jobs, good schools, good traffic equipments, amenities.. and good houses or really really expensive apartments. On the other hand, Gangnam is very popular for its lively nightlife in Korea. This is why Gangnam is so diverse where multicultural features coexist, and so many Korean people want to visit Gangnam. 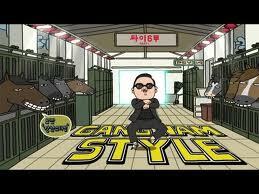 Korean people tend to make frequent use of the word ‘Style’, such as..
‘Gangnam Style’ was used as similar usage of them. So that, Gangnam Style would contain so complex meaning, and the speaker of the lyrics might hope to be a versatile person as like ‘the area, Gangnam’. So.. What Gangnam Style means? In Gangnam, there are so many good people and things. Smart workers or students, rich people, tycoons, good-styled people, clubers or musicians, and even more, lots of people who wanna enjoy the nightlifes in Gangnam.. And really big building, expensive houses, apartments, cars, and good clubs or restaurants are there! I think that Psy’s intentions are such things. If we visit Gangnam, we can meet those good things, so it is just positive meaning. To put it in another way, if we visit Gangnam, we would be a member of Gangnam, so that we could be also those good people, right? I think that’s why the speaker of the lyrics says ‘Oppan Gangnam Style’ over and over again! I hope this post can help for those who do not know well about Korea. And once more, please do not think seriously about the meaning of the lyrics. Songs and lyrics are for just enjoying, not studying. So I hope that you just enjoy this song and other Korean fun cultures! If you wanna read translated Gangnam Style’s lyrics or something else, visit the web page below. PSY Gangnam Style T Shirts or Other Clothes(Hoodies, Hats, and Cell Phones Cases) Now On Sale! Where can we buy them? Real Gangnam Fashion Style? It’s Different from Psy’s Gangnam Style! Thank you for that explanation! I do not speak any Korean, nor do I know much about Korea, so it is very helpful. Thank you! Very nice way to explain the lyrics are for enjoying not for study and the feeling of the musician at the same time. Thanks a lot for your helpful explanation !